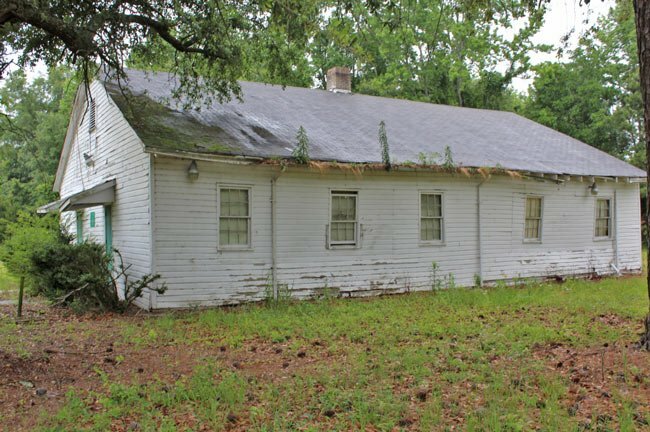 This former school building in the lumber town of Alcolu was established for African-American students in 1933 following the purchase of three acres of land by Clarendon County School District 27. 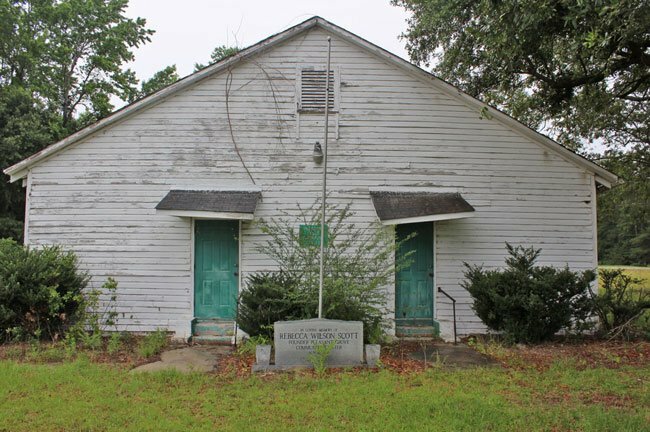 It was the first public school for black students in Clarendon County; prior to Pleasant Grove, African-American students were educated in black churches throughout the county, including Oak Grove Baptist Church, which sits across the street from the school. The small building included four classrooms and a kitchen. Although located in a rural location, Pleasant Grove School served a fairly large number of students. At the time of its closing in 1953, 159 students attended Pleasant Grove, which employed five teachers at the time. Two classes were held in Oak Grove Baptist Church to house overflow. Now gone, a basketball court and baseball field behind the school for years carried the voices of children at play. The building sat vacant following the school’s closing. Nearly forty years later, in 1992, the school was purchased by resident Rebecca Wilson Scott for use as a community center. For the next decade, the building was lively again with events for senior citizens, after-school programs, and election polls. Sadly the building eventually fell into disrepair, and by 2004, was no longer in use. Descendants of Rebecca Wilson Scott, along with other community members, hope that some day the building can be restored and once again serve this corner of Clarendon County.